John Bray TAYLOR "Jr" [Parents] was born on 18 Sep 1832 in Trenton, Mercer, New Jersey. He died on 19 Mar 1916 in Niagara, Grand Forks, North Dakota. John married Isabelle KEITH on 5 May 1859 in , Lafayette, Missouri. Isabelle KEITH was born on 31 Aug 1839 in , Winchester, New York. She died on 6 Sep 1864 in Lexington, Lafayette, Missouri. Isabelle married John Bray TAYLOR "Jr" on 5 May 1859 in , Lafayette, Missouri. Emma W. TAYLOR was born on 6 May 1860 in Lexington, Lafayette, Missouri. She died on 2 Oct 1937 in , Boulder, Colorado. Ernest Augustus TAYLOR [Parents] was born on 13 Aug 1834 in , Hunterdon, New Jersey. Ernest married Florence H. MC KEE in 1865. Florence H. MC KEE was born in 1847 in , , Virginia. Florence married Ernest Augustus TAYLOR in 1865. Adaline "Ida B" Bray TAYLOR was born in 1867 in , , Missouri. She was christened in 1869 in Cole Camp, Benton, Missouri. Anna "Bertha A" A. TAYLOR was born in 1870. Florence M. TAYLOR was born in Mar 1871. She died on 29 Jul 1872 in Died Young. John A. TAYLOR was born in Jun 1873. He died on 6 Aug 1874 in Died Young. Ernest R. TAYLOR was born about 1875 in , , Missouri. Robert M. TAYLOR was born about 1877 in , , Missouri. Grandin F. TAYLOR was born about 1880 in , , Missouri. Thomas P. TAYLOR [Parents] was born in 1851 in , Clinton, Kentucky. He died after 1876 in , Clinton, Kentucky. Thomas married Judy E. WILLIAMS. Judy E. WILLIAMS [Parents] was born on 28 May 1851 in Indian Creek, Cumberland, Kentucky. She died on 19 Jul 1935 in , Cumberland, Kentucky. She was buried in Booher Cemetery. Judy married Thomas P. TAYLOR. William L. TAYLOR was born in 1870. M ii Charles Alexander "Charlie" TAYLOR was born on 7 Oct 1876. He died on 29 Apr 1968. Richard BARNETT [Parents] was born on 8 Oct 1843 in , , Kentucky. He died on 24 Aug 1918 in , Clinton, Kentucky. Richard married Rebecca E. BUTLER on 12 Nov 1866 in , Wayne, Kentucky. Rebecca E. BUTLER [Parents] was born on 30 Oct 1843 in , Wayne, Kentucky. She died on 24 Aug 1918 in , Clinton, Kentucky. Rebecca married Richard BARNETT on 12 Nov 1866 in , Wayne, Kentucky. Nancy BARNETT was born on 29 Oct 1867. Mary Elizabeth BARNETT was born on 26 May 1869. T. L. BARNETT was born on 28 Dec 1871. Sarah BARNETT was born on 22 Apr 1873. Martha Ann BARNETT was born on 24 Feb 1875. Artie Brown BARNETT was born on 7 Jan 1877. Alex BARNETT was born on 28 Apr 1878. F viii Malissa Jane BARNETT was born on 12 Feb 1881. She died on 15 Aug 1962. James Murl "Jimmy" HUGHES was born on 25 Nov 1922 in Sulphur Springs, Hopkins, Texas. He was christened in Baptist. He died on 30 Oct 2006 in Vero Beach, Indian River, Florida. James married Doris Evalee TAYLOR on 11 Nov 1944 in Greenville, Hunt, Texas. Doris Evalee TAYLOR [Parents] was born on 15 Dec 1925 in , Fannin, Texas. She was christened in Baptist. She died on 13 Mar 2010 in Port St. Lucie, Saint Lucie, Florida. Doris married James Murl "Jimmy" HUGHES on 11 Nov 1944 in Greenville, Hunt, Texas. James Marvin HUGHES was born on 1 Aug 1949 in Vero Beach, Indian River, Florida. He died on 11 Mar 2004 in East Palatka, Putnam, Florida. Zollie Lee MOORE [Parents] was born on 20 Mar 1924 in Anson, Jones, Texas. He died on 17 Nov 1988 in Wilson, Lynn, Texas. He was buried in Green Cemetery, Wilson, Lynn, Texas. Zollie married Gladys Marie TAYLOR on 27 Feb 1948 in Clovis, Curry, New Mexico. 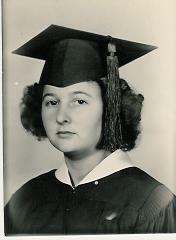 Gladys Marie TAYLOR [Parents] was born on 2 Feb 1927 in , Grayson, Texas. Gladys married Zollie Lee MOORE on 27 Feb 1948 in Clovis, Curry, New Mexico. M i Alton Lee MOORE was born on 12 May 1949. M ii Dennis Wayne MOORE was born on 25 Jul 1950. F iii Connie Marie MOORE was born on 3 Aug 1957. Elbert Jackson MOORE. Elbert married Ora Mae CRUMBLEY. Ora Mae CRUMBLEY. Ora married Elbert Jackson MOORE. M i Zollie Lee MOORE was born on 20 Mar 1924. He died on 17 Nov 1988. Grady ROLD. Grady married Minnie Lorene TAYLOR. Minnie Lorene TAYLOR [Parents] was born on 4 Aug 1928. Minnie married Grady ROLD. Thomas TAYLOR [Parents] was born in 1800 in , , Virginia. Thomas married Malinda BOOHER. Malinda BOOHER was born in 1798 in , , Virginia. She died about 1870 in , Clinton, Kentucky. Malinda married Thomas TAYLOR. M i Thomas P. TAYLOR was born in 1851. He died after 1876. Thomas Shelvy BOOHER was born in Mar 1859. He died on 30 Mar 1936 in , Cumberland, Kentucky. Thomas married Judy E. WILLIAMS in 1880 in , Cumberland, Kentucky. Judy E. WILLIAMS [Parents] was born on 28 May 1851 in Indian Creek, Cumberland, Kentucky. She died on 19 Jul 1935 in , Cumberland, Kentucky. She was buried in Booher Cemetery. Judy married Thomas Shelvy BOOHER in 1880 in , Cumberland, Kentucky. Fannie BOOHER was born in 1882 in , Cumberland, Kentucky. Thomas Dee BOOHER was born on 9 Jan 1884. James Virgil BOOHER was born on 22 May 1889.